BPMBank module is based on Activiti, IBM or other standard BPM tools and covering process-oriented banking modules including interfaces to various data sources and transactions. Director, Zoran Brkic: "This is a partnership agreement for cooperation in server technology, development tools and Oracle database for Banksoft's CoreBank solution." 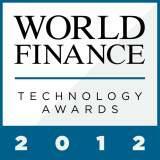 Banksoft wins World Finance 2012 Technology Award: Best Mobile Banking Technology – Eastern Europe! Implemented multi-bank changes for domestic payment system according to urgent Croatian Finance Ministry directive on salary-related payments for companies. Developed and implemented extension of supervisory and consolidation reports for international banking groups. Successfully implemented support for on-line authorizations of card transactions with regional MBU card issuing and acquiring network.